Yesterday's big Es-clouds gave a little promise for today, but no. There were clouds over right places (Denmark etc.) but not enough MUF. Only one 2-3 minute opening to Bretagne. Perhaps there has been more short skips because I have not been monitoring all the time. Where you listen to radio bongeur. 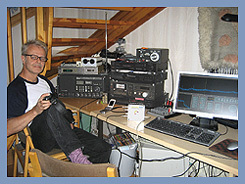 I heard Radio Bonheur at my home in Naantali, Finland. 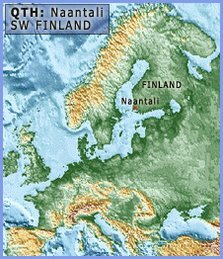 It was signal-skip via ionosphare (100 km high) from France to Finland!